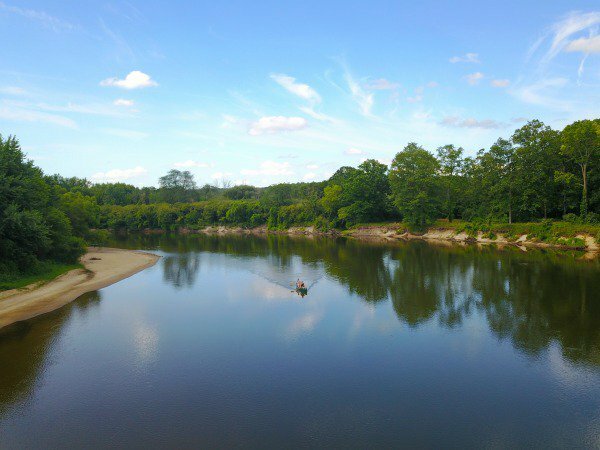 The ultimate Grand Rapids, Michigan travel guide: I’ll tell you where to stay, what to eat and how to burn it off! 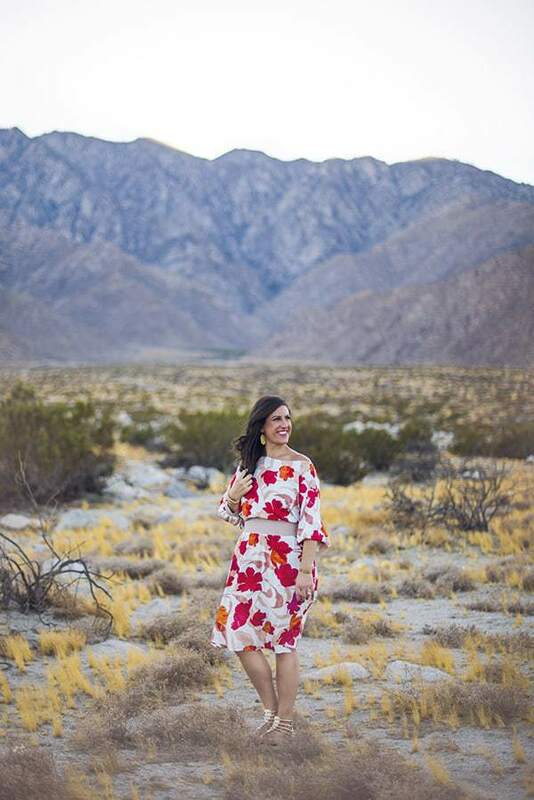 Believe it or not, August marks ONE YEAR since I kicked off my wellness travel series, What to Eat & How to Burn it Off. 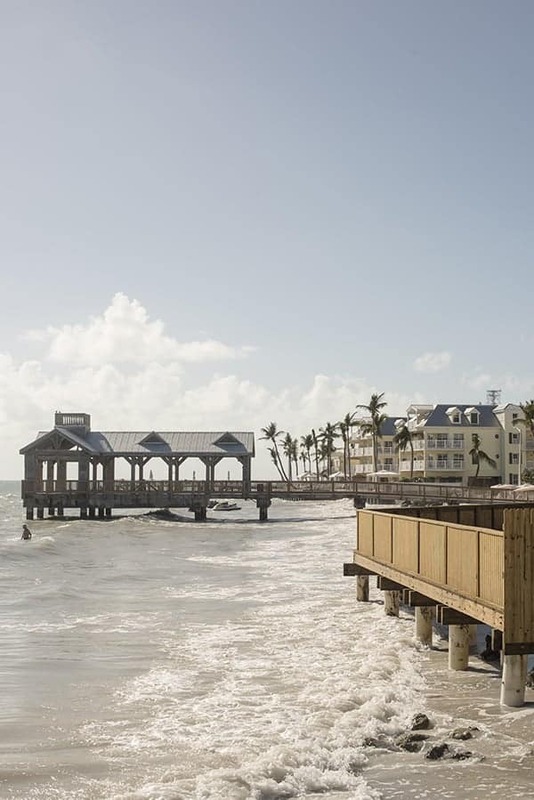 Over the last 12 months we’ve explored Charleston, Tucson, New Orleans, San Diego, Vail, Miami, Utah and Banff. To celebrate one year, I decided to bring it back to my favorite city of all, the place that I call home: Grand Rapids, Michigan. 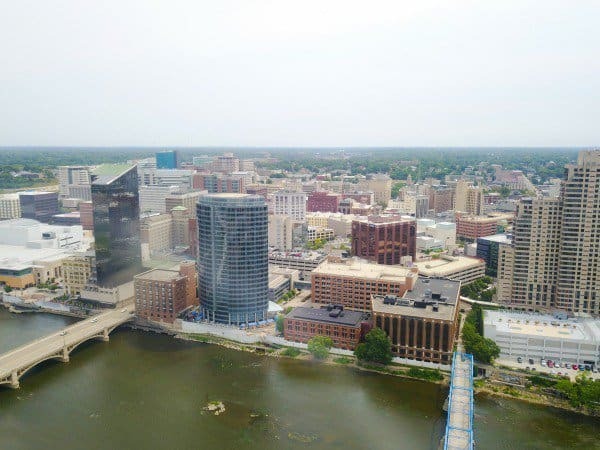 Located just 3 hours from Chicago and 40 minutes from the Lake Michigan shoreline, Grand Rapids is an urban getaway most known for it’s culture, art, music and food scene. Offering more than 120 daily nonstop flights to 24 popular destinations, the Gerald. R. Ford International Airport is just 20 minutes from downtown. 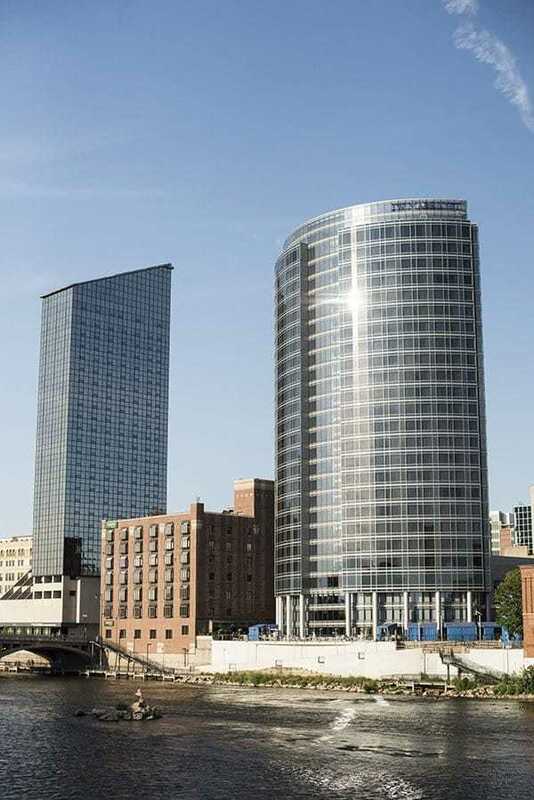 My hotel of choice for any out of town visitor is always the JW Marriott Grand Rapids. Perhaps I’m a bit biased though: in 2017 I relocated back to Grand Rapids from Boston to open the property when it was first built! 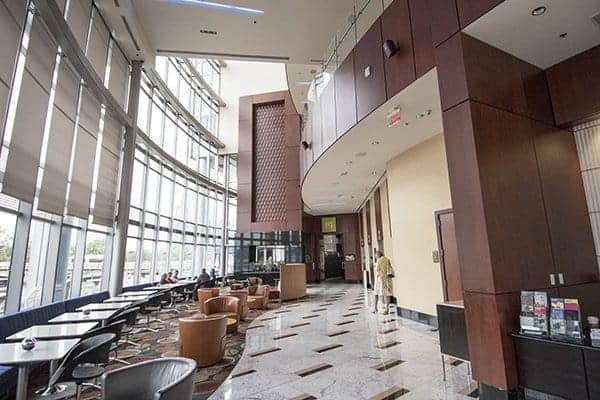 Beyond the plush accommodations and modern amenities, what I love most about the JW Marriott are the floor to ceiling glass windows offering sweeping views of downtown and the Grand River. 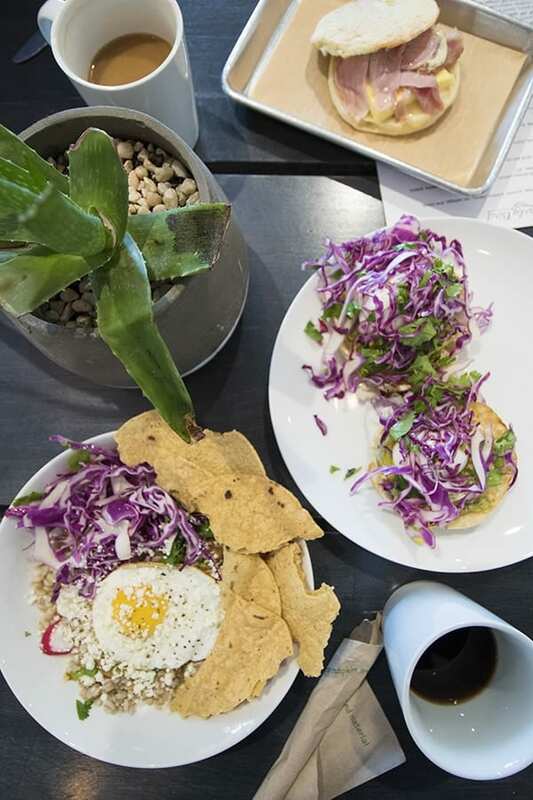 When it comes to delicious eats in Grand Rapids, there are no shortage of options. 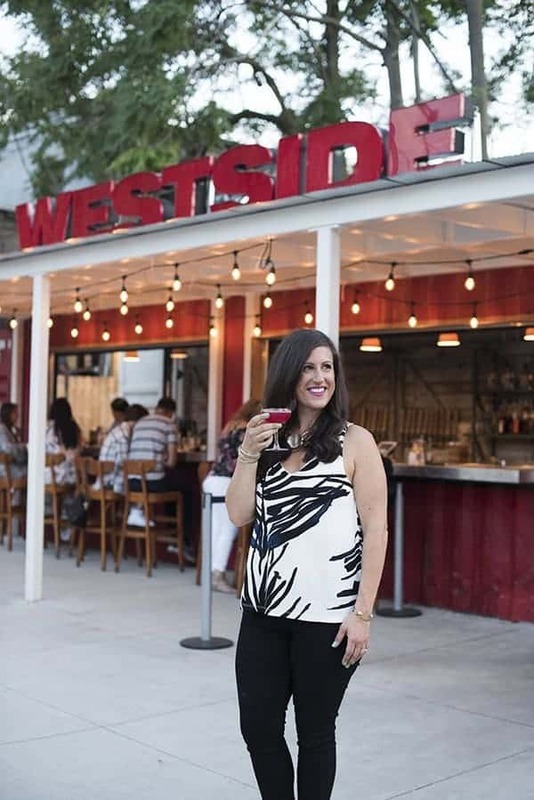 Since I happen to live here, I was able to hand pick my absolute favorite hot spots throughout the city. For breakfast, I have two great recommendations that both happen to be located about 10 minutes north of downtown. My first pick is That Early Bird, a coffee shop, bakery & cafe located in the eccentric neighborhood of Eastown. Offering homemade baked goods and a wide variety of vegan and gluten free options, you can’t go wrong with anything at this spot. 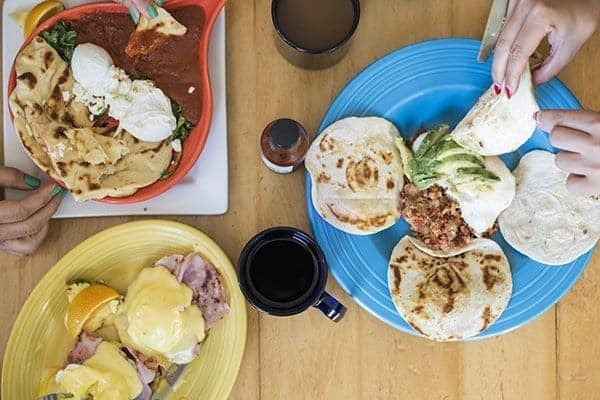 For a heartier breakfast, head to Cherie Inn located in the East Hills neighborhood. Well known for their famous eggs Benedict, this breakfast gem has been in business since 1924! For lunch, I decided to head to my very own neighborhood of East Grand Rapids located just 15 minutes from downtown. 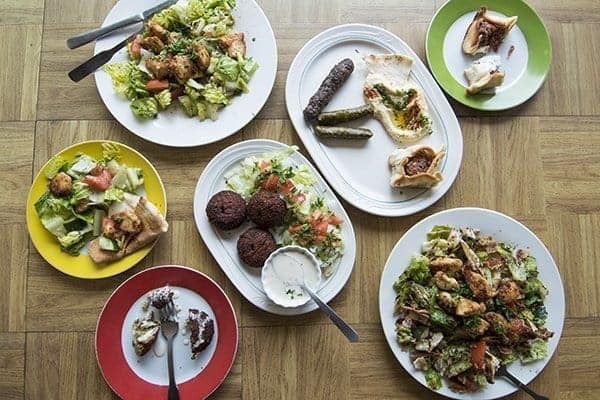 It probably won’t surprise you that my favorite lunch spot in town is Osta’s, a family-owned Lebanese restaurant. My kids beg for Diane’s baked kibbee and cucumber laban on a weekly basis! Believe me, you will love every bite. 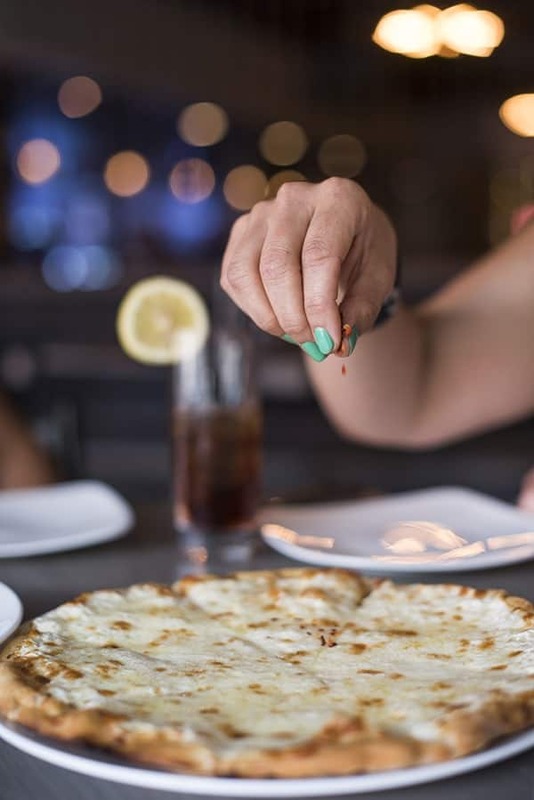 My second lunch recommendation is a new Italian hot spot located downtown just blocks away from the JW Marriott: Mazzo. 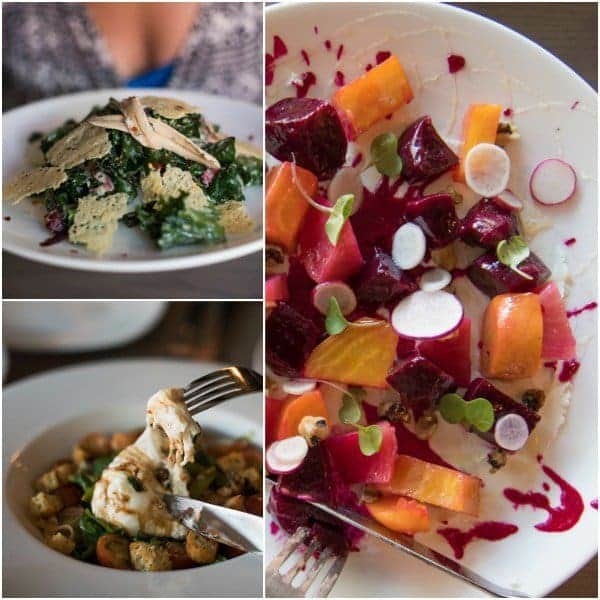 Featuring a raw seafood bar, colorful salads, inventive pizzas, and more, there is something for everyone on their menu. 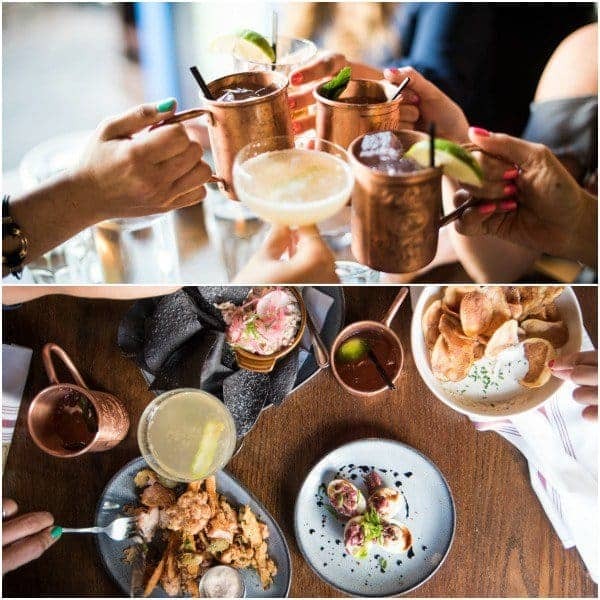 When it’s time for happy hour, head on over to Butcher’s Union located in the up and coming West Side neighborhood, just 3 minutes from downtown. 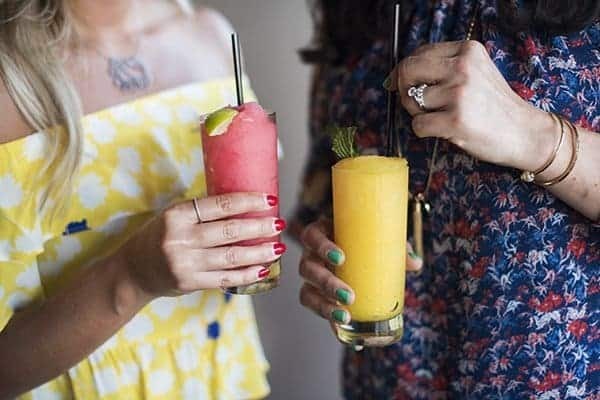 The cocktails are craft made, and they offer killer discounted happy hour specials on both food and drink. For dinner, we’re staying in the West Side with two delicious options starting with The Sovengard pictured above. 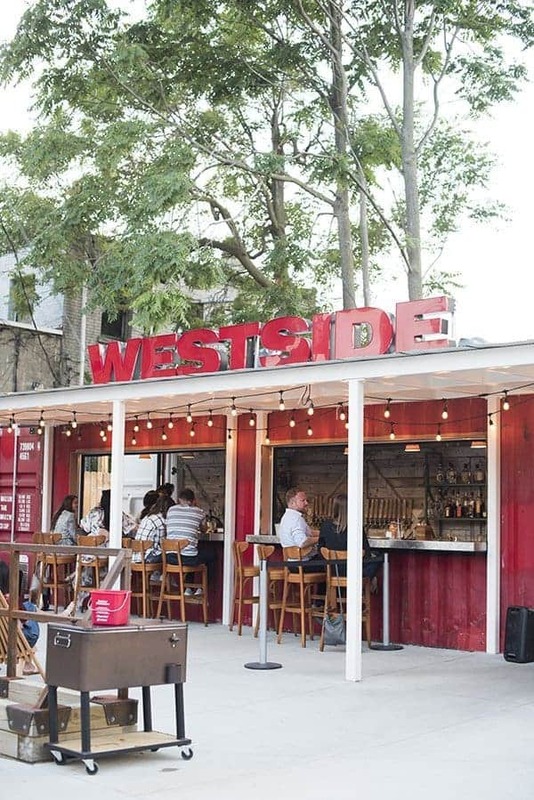 Their beautiful outdoor dining space and biergarten create the perfect atmosphere for dining with friends, a date night or even a casual family dinner with your puppy. 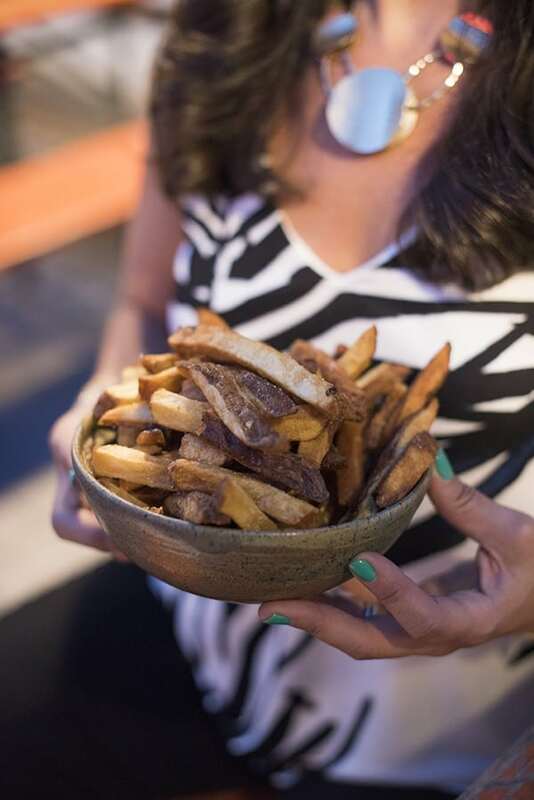 Pro Tip: Do yourself a favor and order the beer fries for the table. Tangy and crispy on the outside, yet perfectly fluffy on the inside, they are addictive in all the best of ways. 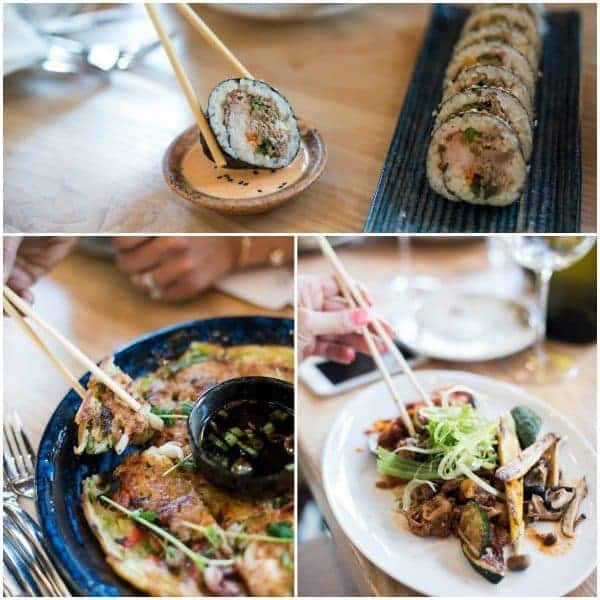 If you’re craving more of an Asian flare, check out Ando Asian Kitchen and Bar, also located in the West Side neighborhood. The seafood pancake was my favorite bite of the night but everything was fresh, hot and delicious. Rumor has it they also serve ramen during lunch hours. 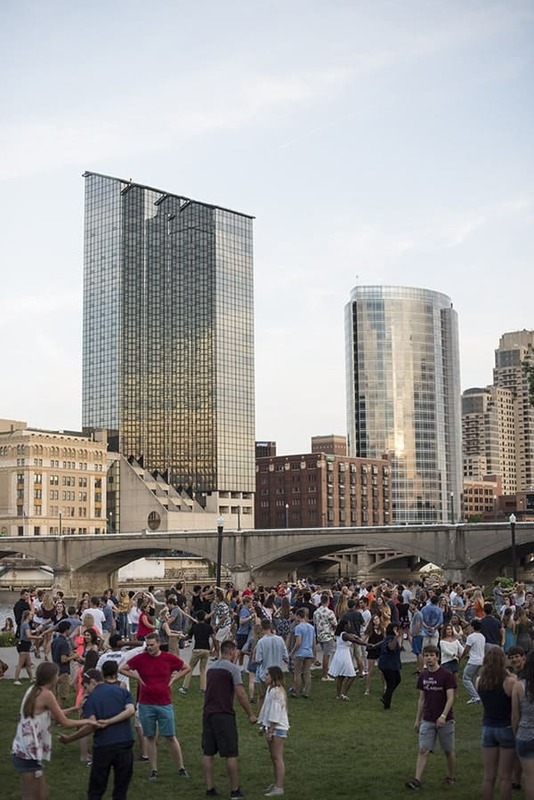 After dinner, there is no shortage of night life options in the Grand Rapids area. If you’re a gin lover like I am, you won’t want to miss Long Road Distillers. Gin not your thing? Don’t worry, they make bourbon, vodka and more. 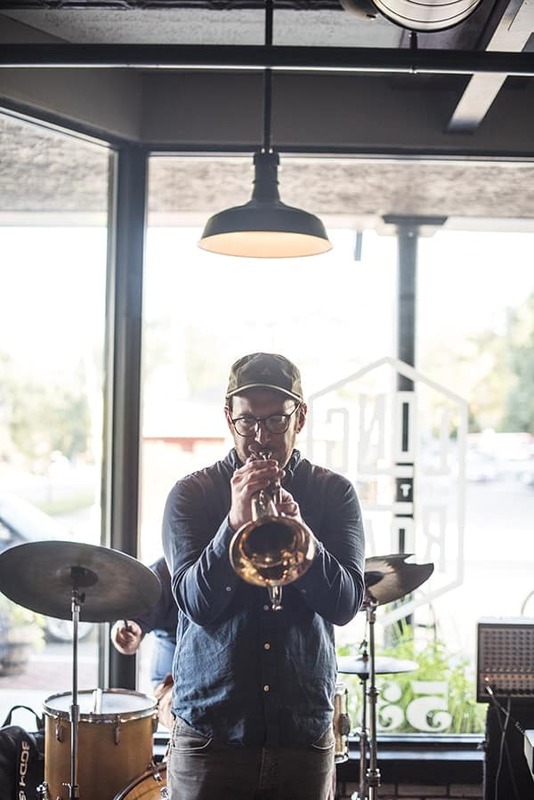 Be sure to check out their Facebook page for special events including Jazz & Gin Mondays which we got to check out during our visit. Of course, you can’t talk about Beer City USA without mentioning local breweries! Founders is my all time favorite but I also love New Holland, Atwater, Vivant, Harmony and more. 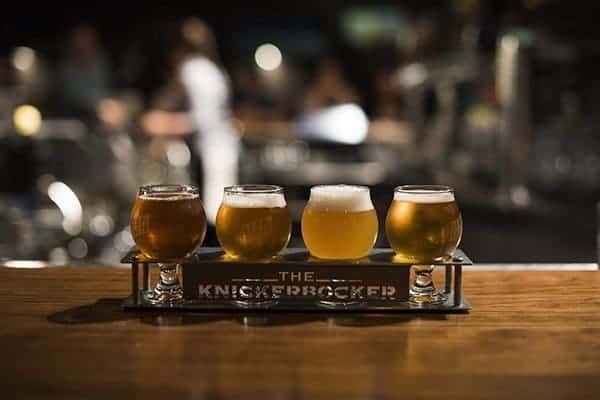 For a complete list of the endless local breweries in GR, head on over to Experience GR. 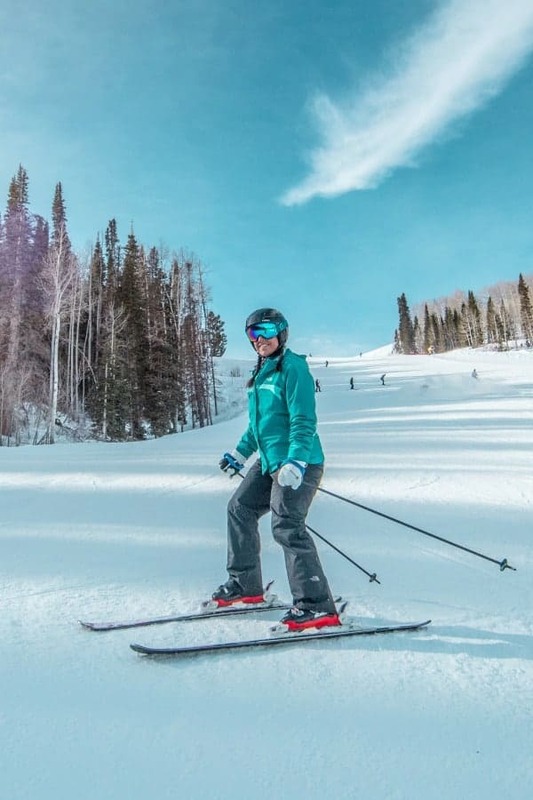 Now that we’ve covered What to Eat, it’s time to dive head first into How to Burn It Off! One reason I love living in West Michigan is because you’re never more than 5-10 miles from a body of water. 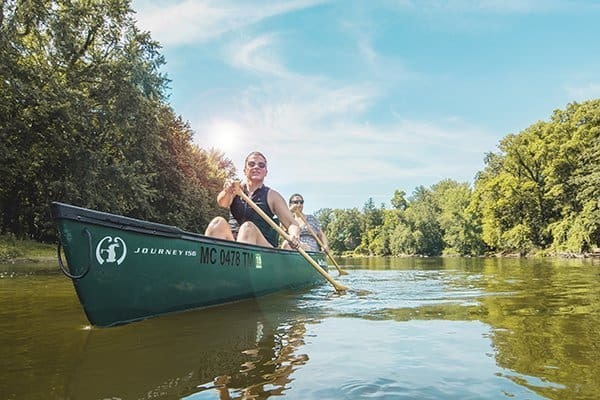 There was no way I could write a story about staying active in Grand Rapids without showcasing a few of our many outdoor recreational offerings including one of my all time favorites: canoeing. 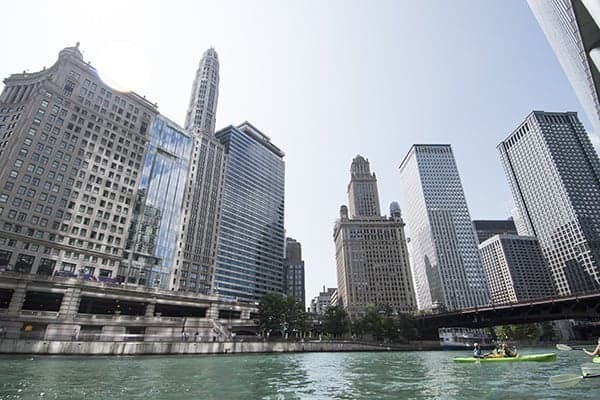 GR Paddling makes it incredibly easy as they will literally pick your party up from your hotel and take you to the water! 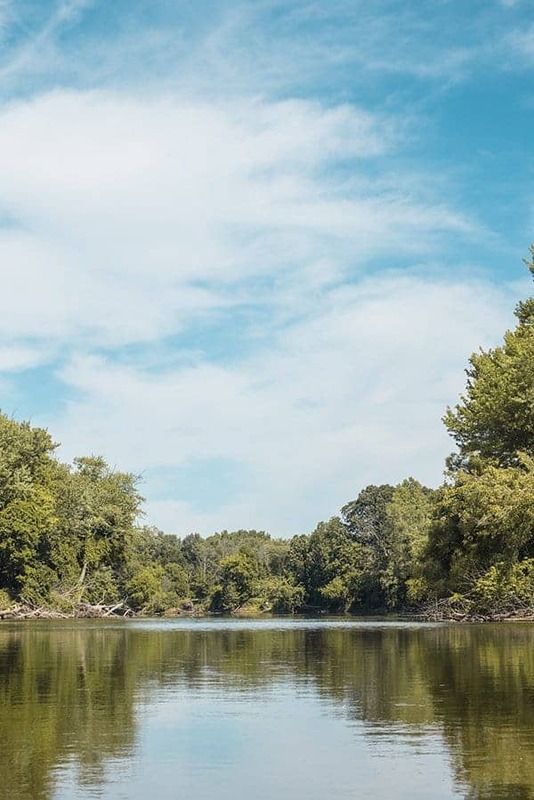 There is nothing more peaceful and calming than spending a couple hours on the water! In addition to canoeing, they also offer kayaks for your group. 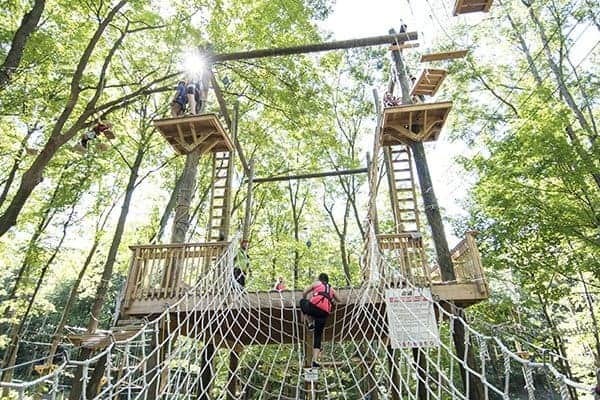 For another family-friendly outdoor activity, check out Grand Rapids Treetop Adventure Park located 15 minutes northeast of downtown. I had such a blast climbing the ropes course and zip lining through the trees! A great activity for kids and adults alike. Fore more outdoor fun, put on your dancing shoes and join the fun with the Grand Rapids Original Swing Society. 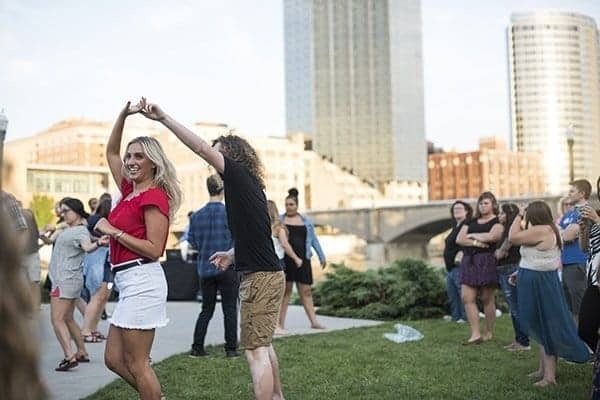 Offering free events throughout the city every Tuesday, we had such a blast watching people swing dance against the beautiful Grand Rapids skyline. 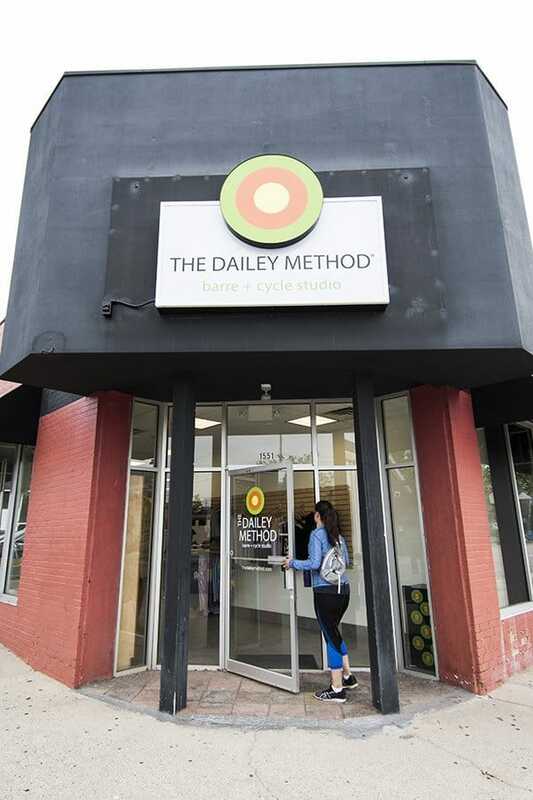 Of course, not everyone gets to visit Grand Rapids when it’s warm outside so I wanted to checkout an indoor fitness option at the newly opened barre & cycle studio just down the street from my house: The Dailey Method. 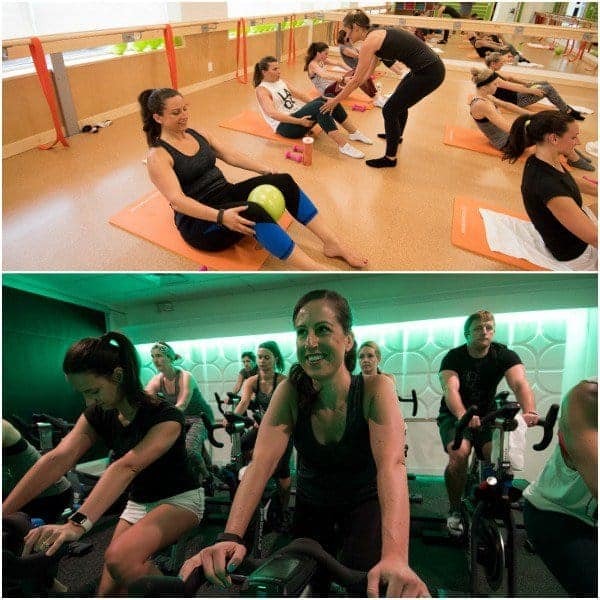 Offering a wide variety of class options, we took a 60 minute class that included 40 minutes of spin and 20 minutes of pilates. It was the perfect balance of cardio and strength training, not to mention the MOST fun I’ve ever had on an indoor bike. If you like fast pumping music like I do, this is the workout for you. 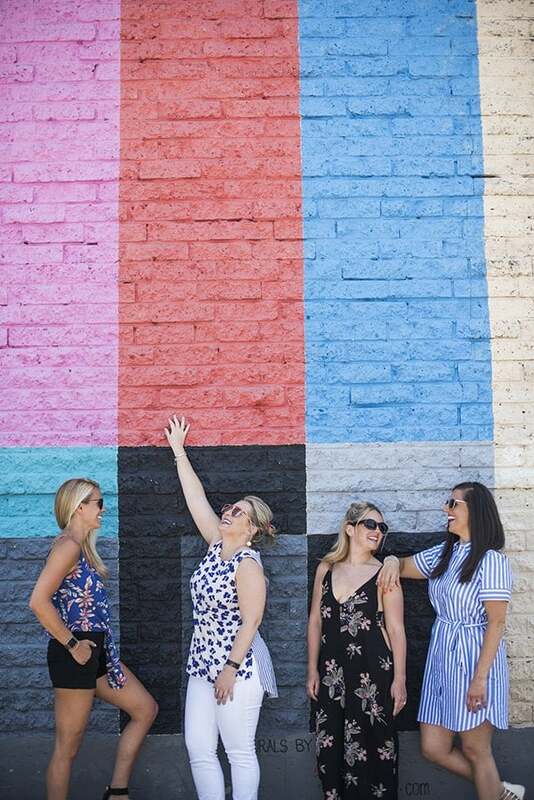 Overall, I had a blast exploring my home town from the eye of a tourist with a few of my gal pals and encourage you to do the same. 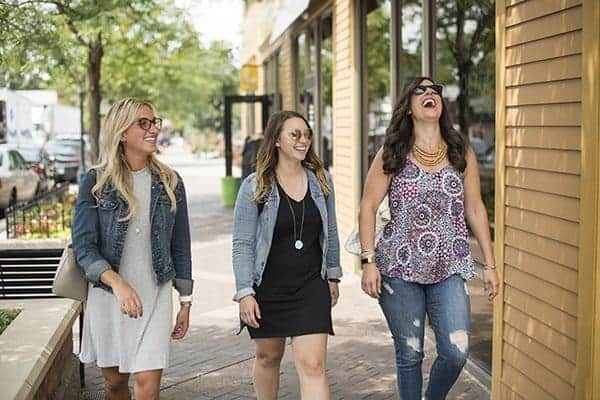 Whether you bring the whole family, plan a romantic getaway or grab your girlfriends, be sure to add Grand Rapids to your travel plans this year! 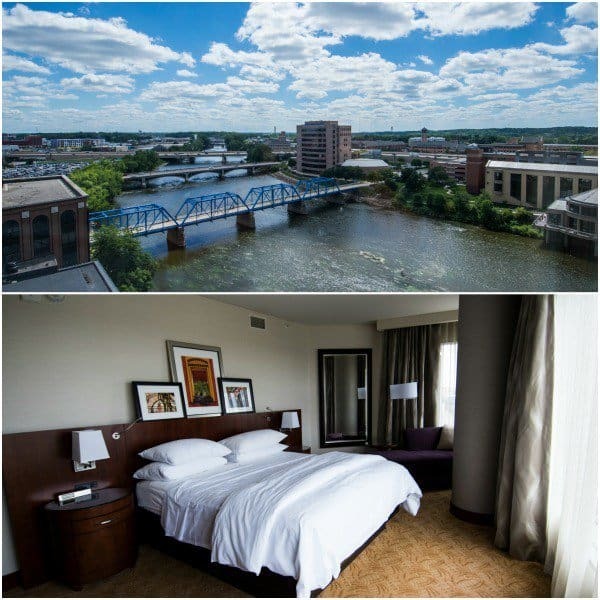 Disclosure: Experience Grand Rapids provided my meals, activities and accommodations during my stay. Photography by Alejandro Photography. I was compensated to write this post. All thoughts are my own. 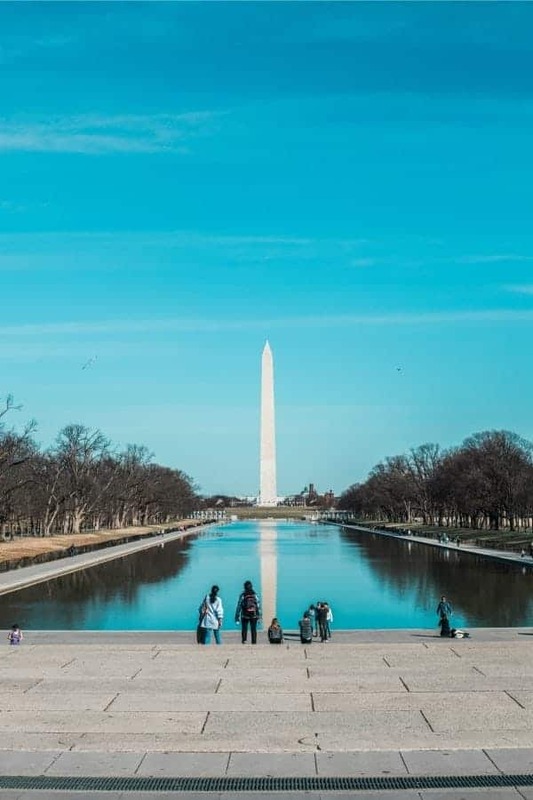 Check out more places I’ve traveled to on my Pinterest board! I have lived in Grand Rapids for 13 years and haven’t eaten at most of these restaurants. 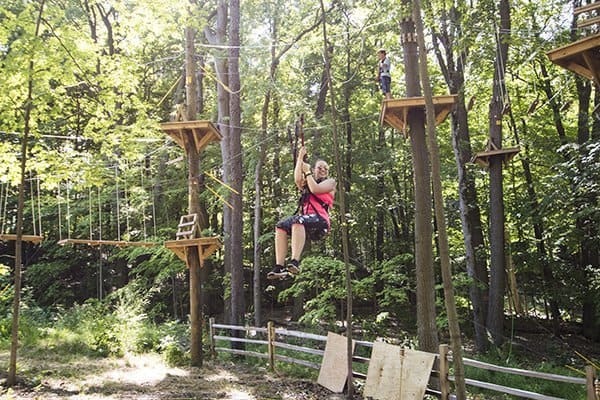 I live around the corner from the Treetop Adventure Park & need to check it out. Thanks for this! I grew up in Grand Rapids but haven’t lived there in 13 years and I know a LOT has changed. I’m heading up with a couple friends next week and we will definitely be using some of your suggestions to plan our trip! That’s awesome!!!! Have so much fun! !